This is my first post of a 10 episode salad fiesta. I am very much fond of salads. These recipes will be filling and healthy at the same time. You can consider this as a reminder to myself to eat fresh healthy food. There are times I have weird cravings. I feel I will die if I cannot have them, this cashew nut salad was one of those. First, this is something I will have any given moment any day. Second, this is very easy to make and makes a great dish for small gatherings. The crunchy chicken bites, roasted cashew nuts, tangy sauces, fresh salads add flavors and dimension to this classic salad. You need very basic ingredients to make this classic salad. First soya sauce, tomato ketchup and sweet chili sauce to begin with. Then you need 1 chicken breast piece cut into small rectangular chunks, rolled in dry flour and deep fried until golden brown. Mushroom cut each buttons in 4 pieces and repeat the same process like chicken. Roast the cashew nuts in oven or you can deep fry it too. Finely chop cucumbers, tomatoes, onions and green chilies. Finally add little salt and small pinch of sugar. 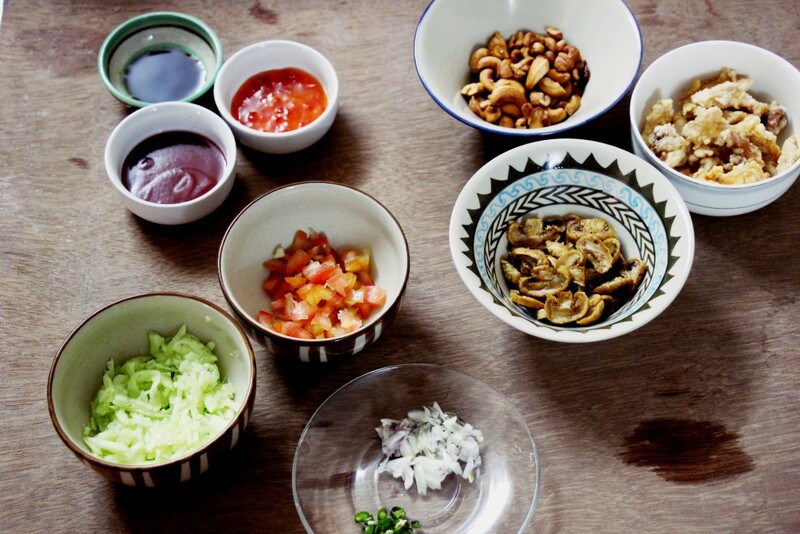 Once you have the ingredients ready, first mix the salads with the sauces, add mushroom, chicken and cashew, mix thoroughly. Serve immediately. This is how I like my chicken cashew nut salad to be. 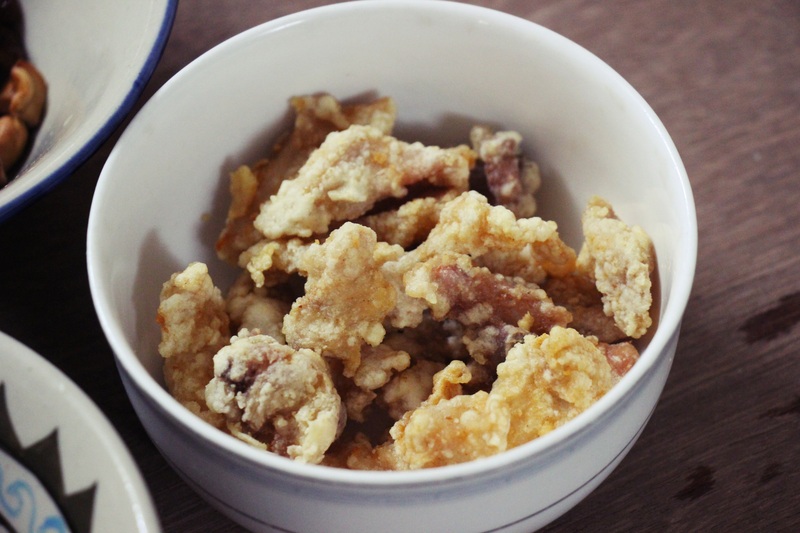 It is crunchy, refreshing and spicy too. I don’t like chili much hence, I used very little chili, you add as much as you can. This salad can stand alone, you can have it as quick office lunch or add a slice of brown bread for a dinner. I find this salad to be healthy and hearty at the same time.